J.T. Robinson: Ready or not... here comes snow! 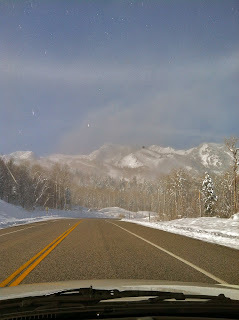 The Northern Wasatch Mountains are in winter bloom. The season opening storm was a whopper. 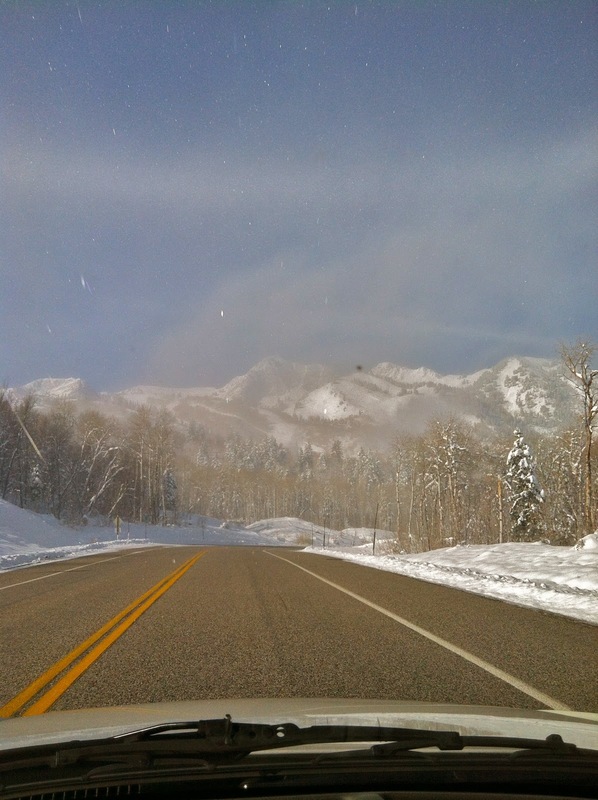 The Salt Lake City mountains to the south of my northerly home did not receive nearly as much snow as we did in the north country. Ogden City was blessed with a what I call an "Ogden Special". The westerly to southwesterly flows bring storms into the Ogden mountains on a track that favors the region in snowfall totals. I could get real deep on why that happens, but I will spare the details. It just does. 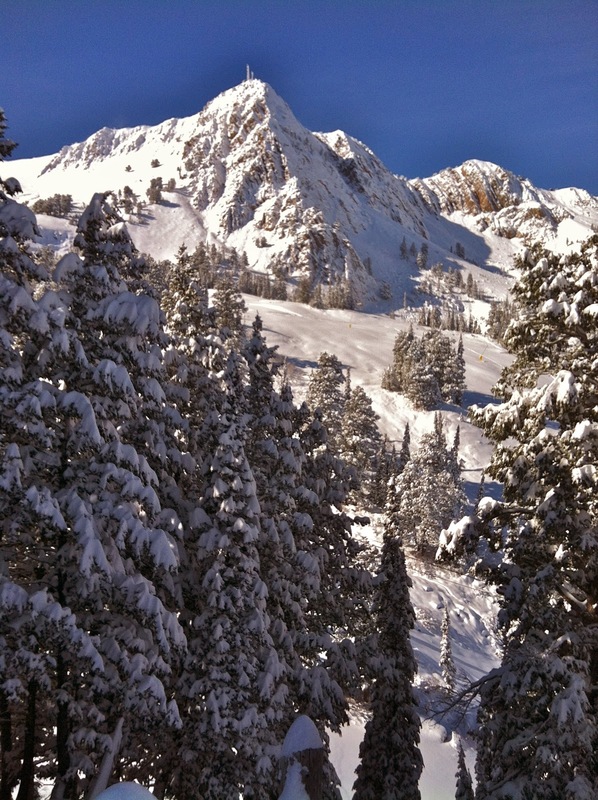 Snowbasin and Powder Mountain ski resorts reported totals in the 40 inch range. It was a wet and heavy snow as well. Good base. 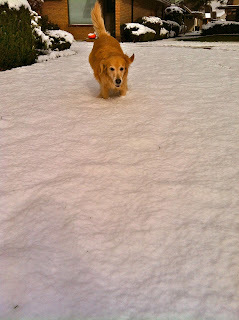 ^Waking up to a foot of snow in the yard at 4,500 feet in elevation is a treat for Murphy just as much as me. She was super pumped up. Get some, Murphy! A foot here translates well up high. ^However, I was completely unprepared for the storm. 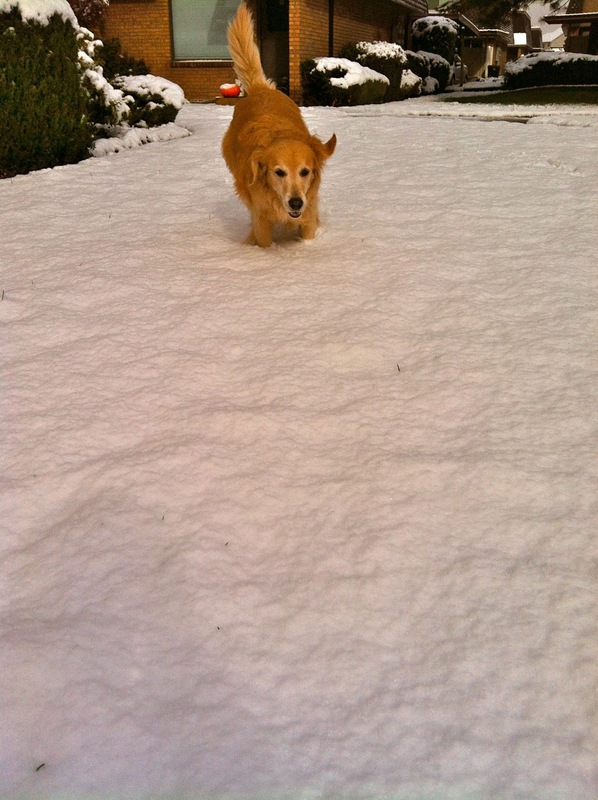 We always get some snow around this time. 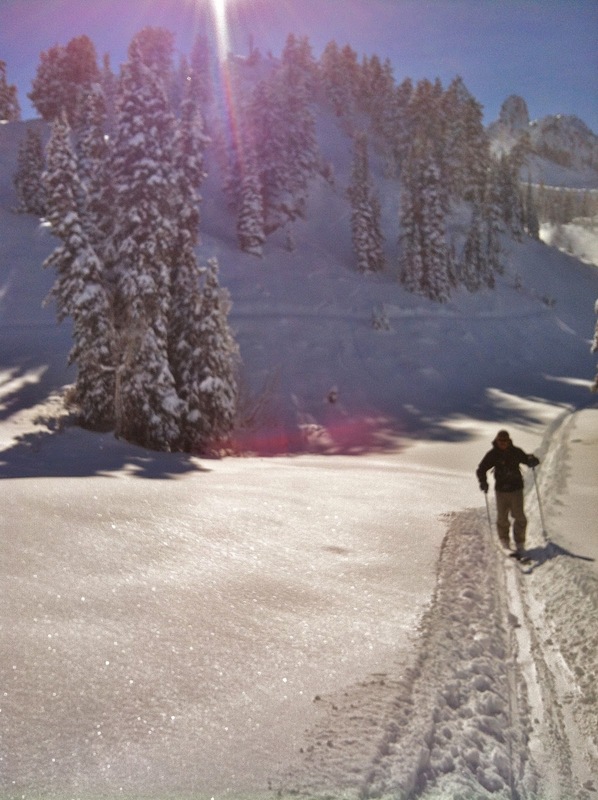 Sometimes it is skiable, but often it is not. 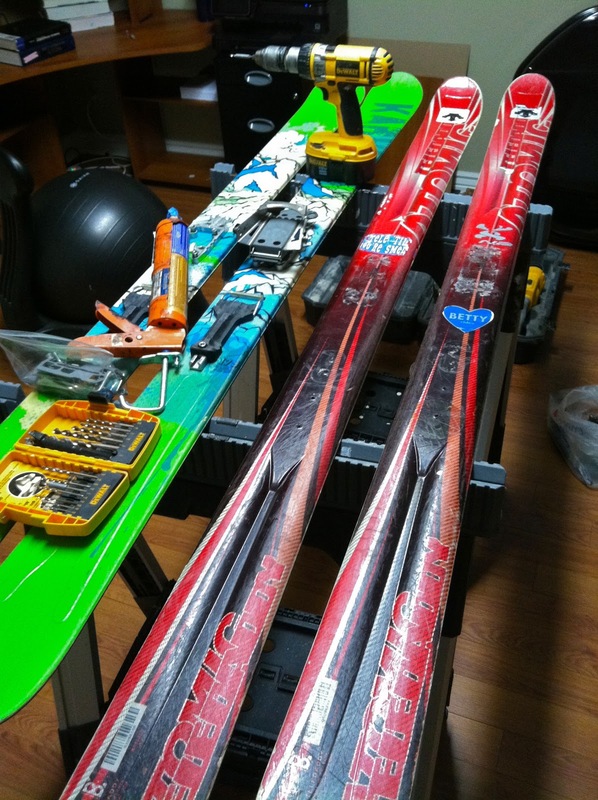 I had nothing mounted or ready for early season conditions. I had to resort to a really old pair of Atomic TeleDaddys that I had stashed away from my Atomic deals way back in the day. Hilarious. I mounted them in the morning with an old pair of Voile Switchbacks I had laying around. Who cares, it is early. ^I decided to go for a backcountry tour at the Snowbasin ski resort. Snowbasin had not yet taken on any avalanche control work, or opened up for business. 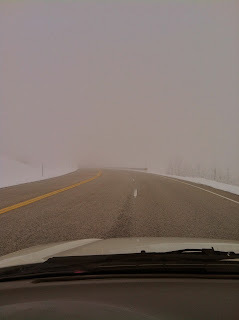 The drive up was inverted as the clouds lingered in the valley floor. 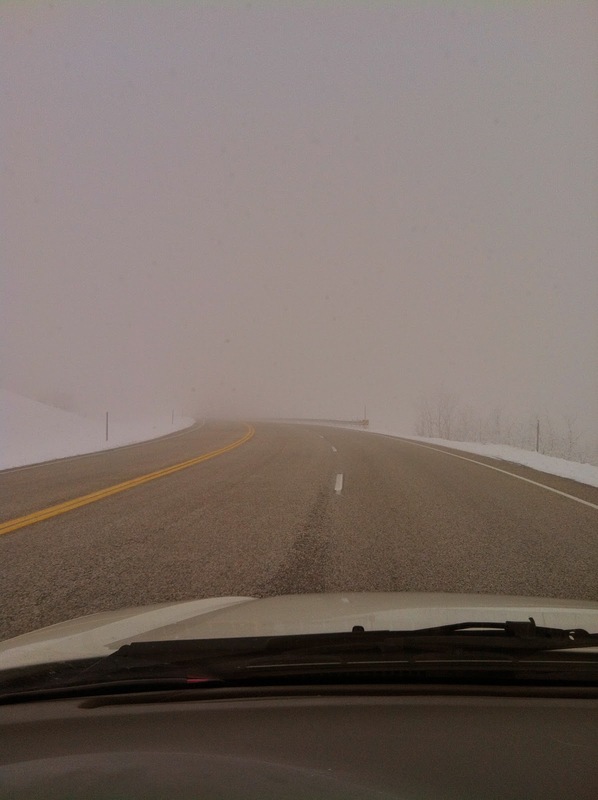 Driving in the thick fog always plays tricks on my emotions that were geared toward sunshine and blue skies. 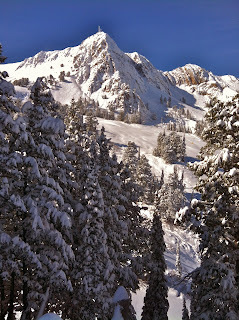 ^As always the blues break out just as the first sights of Snowbasin come into view. The vast basin of peaks appeared through the fog like a gift from the universe. All of the sudden the music in the car sounded a little clearer, and the beat hit home just a little harder. The coverage looked substantial for this spot on the calendar. I was pleasantly surprised. My smile was only matched by that of my buddy Ben's smile that awaited me in the parking lot. ^It took me forever to get my gear dialed in the parking lot, but I eventually made it to the skin track. Ascending through the man-made snow flurries under blue skies was a bit surreal. 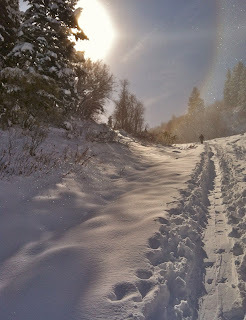 At one point I was inundated with rainbows as multiple snow guns sprayed in intersecting patterns through a swirling wind that created an entire world of prisms. As we passed through the prismatic whirlwind the light was bending into rainbows all around us like we were in some kind of downtown gay pride parade. It was so crazy that our quiet ascent was broken by Ben's holler, "Rainbows everywhere!" ^As usual this time of year, the tour was really all about getting out to walk around in the hills. It is good to get a read on the snowpack too. 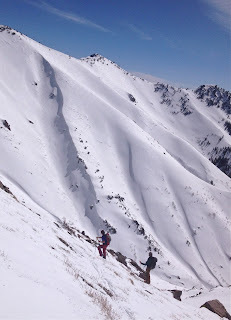 Ben and I spent most of our time talking hypotheticals on what might happen with the snowpack. There is no crystal ball, but it is a good exercise to talk about it. We like to try to run through every scenario until I finally end it with, "Yeah, but as always it will be whatever it will be." Then we laugh and move on poking around with our poles. Mount Ogden was looking rather glorious so I had to snap the picture above to capture it in time. ^We did some early prep work with shovels on one of our favorite techy little entrances. If the entrance can hold up then we can have a really great run at a stash that we love to get into early in the season. It was filled in just enough for us to get into it and ski too! We were all smiles at the early season gift. I was not expecting to make much of any turns at all. However, the careful powder was more then I could have hoped for. I was not dropping any freeheel turns deeply into it, but the float was definitely full on. I think this snowpack is here to stay. My only hope is that the slight chance of snow we have for later in the week comes through with at least some minor significance so that the snowpack retains some health. It is still early, and a rotten base would not be an ideal start to the snowpack. Like my father always says, "It is what it is." ^"Hey Ben. Is this really happening?" 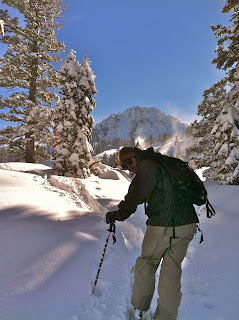 I am pretty sure I was asking him something along those lines as we crested the knoll to be warmly greeted by a view of the heavily blanketed peak in the distance. Not only was I unprepared with my gear, but I was not ready in my head either. I have been so busy with the operations of Telemark Skier, and the daily life of the fall, that this wintery world completely snuck up on me. I have barely even started my workout routine to get in shape for winter. The next few weeks will be interesting to see how it holds on, but I was thankful for the pleasant snowy surprise. 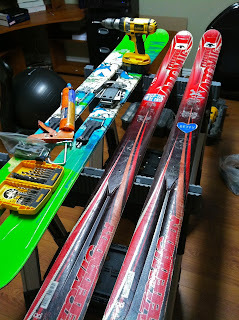 With the heat coming on this week, I will go back to simply getting ready for winter again. However, maybe I will luck out with more on-snow respites that I don't expect. There is a slight chance at the end of the week that we could really use. We'll see... one day at a time.